The largest project ever undertaken to map out the Universe in three dimensions using ESO telescopes has reached the halfway stage. An international team of astronomers has used the VIMOS instrument on the ESO Very Large Telescope to measure the distances to 55 000 galaxies  as part of the VIPERS survey . 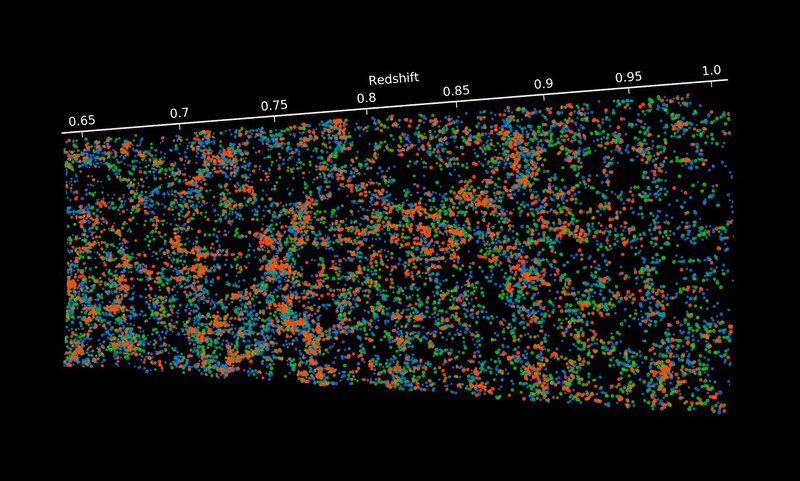 This has already allowed them to create a remarkable three-dimensional view of how galaxies were distributed in space in the younger Universe. This reveals the complex web of the large-scale structure of the Universe in great detail. By studying the cosmic web astronomers can test theories of how the Universe formed and evolved and help to track down the properties of the mysterious dark energy that is making the expansion of the Universe speed up. 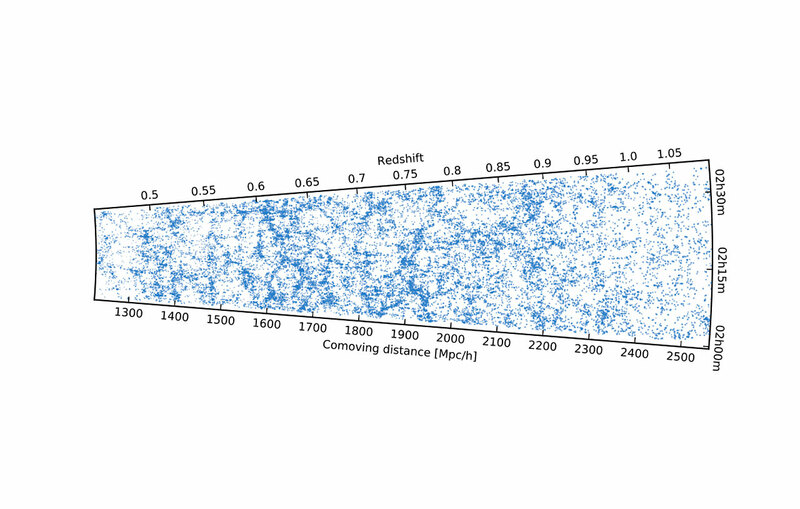 By mapping how large-scale structure grows with time they can also check whether Einstein’s theory of general relativity holds precisely, or whether it may need to be revised. VIPERS is the most detailed survey so far of galaxies that are seen from the time when astronomers think that the Universe became dominated by dark energy, as it is today. This happened when the Universe was between about five and nine billion years old — about half its current age of 13.7 billion years. Although it is not yet complete, VIPERS is already delivering exciting science results, including both a first estimate of the growth rate of large-scale structure at this time and the best census ever of the average number of massive galaxies during this period of the Universe’s history. This week, to mark this milestone, the team is submitting several papers that describe the survey and the initial results for publication in scientific journals. The results from VIPERS are made public for use by astronomers around the world. The current catalogue of galaxy distances will be released in September this year. The light of each galaxy is spread out into its component colours within VIMOS. Subsequent careful analysis then allows astronomers to work out how fast the galaxy appears to move away from us — its redshift. This in turn reveals its distance and, when combined with its position on the sky, its location in the Universe. VIPERS stands for the VIMOS Public Extragalactic Redshift Survey. Further information is available here.